Hong Kong’s government tells educators they are breaking the law by advocating for independence. In another instance of making a mountain out of a molehill, the Hong Kong government has once again shown the people how incessantly paranoid they are about the subject of independence. This time around, the Education Bureau have warned teachers that they could lose their professional qualifications if they advocate Hong Kong independence in schools. In recent months, the Hong Kong government has already been criticized for its reaction to the very few minority pro-independence political parties. Through the Electoral Affairs Commission, the government has actively moved to ban such parties from registering in the political process, creating an even bigger stir in the media and in the mind of the population. The much maligned but Beijing-approved Chief Executive Leung Chun-ying, voiced his opinion, warning teachers that they had a duty to provide students with proper guidance on the issue of Hong Kong independence, stating that it was not a matter of freedom of speech. “We should have a stance of what is right and what is wrong. Schools have a responsibility to guide students in the right direction,” said Leung. Professor Wang Zhenmin, the legal affairs chief of Beijing’s liaison office in Hong Kong, said debate about independence is unacceptable as it “amounts to a violation of laws in Hong Kong.” This is not the first time Wang has claimed that the mere discussion of independence is tantamount to breaking the laws of Hong Kong. In April, Wang said it would be considered “sedition” and “treason” under the Crimes Ordinance if it was a “large-scale discussion in the hopes of gathering a large group to act together.” His statement was largely disregarded by Hong Kong legal professionals and academics as without basis, with some questioning whether he had ever seriously studied Hong Kong’s crime ordinances. However, Rita Fan, the sole Hong Kong delegate to China’s top legislature, said there should be no problem with discussing ­independence in schools, although advocacy should not be allowed. Basic Law Institute chairman Alan Hoo Hon-ching, who is an ardent Beijing supporter, has vocally criticized the government, stopping just short of calling them cowards. He said the government should make a clarification if such discussions are in fact illegal, and to stop passing the buck to government departments such as the Electoral Affairs Commission, and now, the Education Bureau. “The secretary for justice has the responsibility to let people know whether pushing for independence is criminal and to what extent it becomes criminal,” Hoo said. 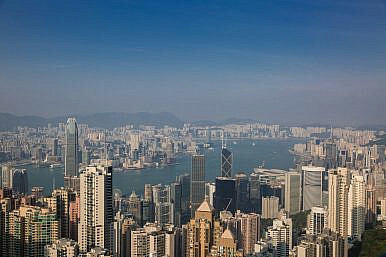 According to the Hong Kong Economic Journal, the government’s warnings have been found to lack basic legal grounds under Hong Kong laws as they stand, and are also in violation of the United Nations Convention on the Rights of the Child (UNCRC), which guarantees the freedom of thought, discussion, and expression of young people under the age of 18. China is among the 200 signatories of the convention, and Hong Kong has also adopted the convention since 1994.